Enter to win 1 of 5 beautiful watches from The 5th! When it comes to mastering men’s style, the devil is in the details. But that doesn’t mean the details are supposed to be complicated. Watches come in many shapes and styles. A lot of them have tons of dials, dates, rotating bezels, and even visible gears. But sometimes getting the details right means getting rid of unnecessary clutter. That’s why I’m so excited to announce today that we’re giving away FIVE beautiful minimalist watches by The 5th to five lucky readers. The 5th is an Australian company making waves in the affordable watch world because of their focus on modern design and quality. Their entire line is composed of clean, classy designs with the utmost attention to all the details that matter. They’re not too big and not too thick, but they’re not dainty either. With the New York Classic line having an ultra thin 6mm case and a 41mm face, and the Melbourne line having a 7.88mm case and a 43mm face, these watches will look perfect on a wrist of any size – from sticks to smokestacks. 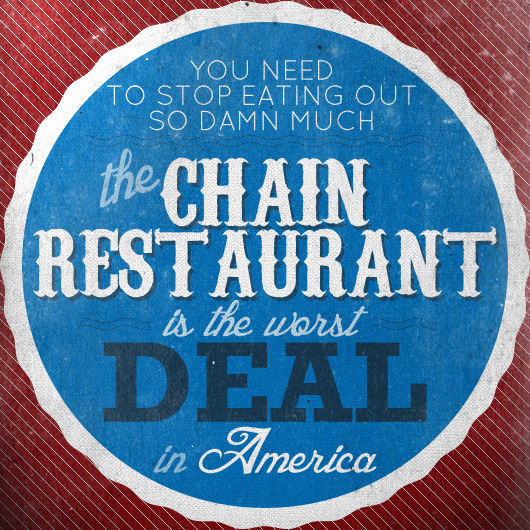 Their commitment to quality is built right into their sales model. To be able to create new, beautiful designs at the best quality while keeping them affordable, The 5th only sells limited stock on their website on the 5th of each month until they’re gone. Fans sign up for their VIP waiting list and are given the opportunity to buy exclusive new designs before they go public on the site. One of the coolest things about the New York Classic range is not only are the cases thin, but each watch actually comes with TWO Italian leather straps. You get double the versatility buying just one watch. All watches come with Italian leather straps, are made of 316L stainless steel with Japanese quartz movements, have hardened mineral crystal lenses, and are water resistant to 5ATM. I absolutely love this watch. The all black look coupled with the beautifully simple tick marks make for a dynamite combination that works in extremely casual and dressy situations alike. As a part of the New York Classic line, it comes with two Italian leather straps, one matte and one shiny. It’s a modern take on classic form. Rose gold is a great choice for men because it’s more subtle and classy than traditional yellow gold, which can feel blingy or over the top. 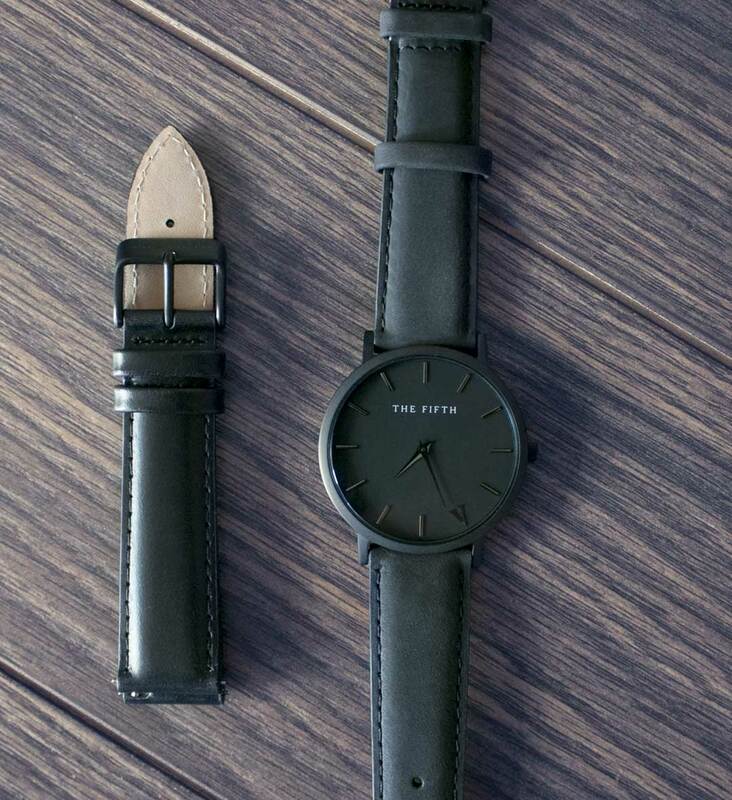 The Tribeca comes with both a brown and black strap, so you’ll look amazing, whether you’re wearing your gray suit with brown shoes or black. Part of the Melbourne line, this thicker-cased sleek watch perfectly combines black and tan. It fit right at home with Red Wings or wingtips. If you’re looking for 100% class, the White & Tan watch in the Melbourne line will be your go-to for years to come. Now get your hands on one! We're giving FIVE lucky readers their choice from The 5th! Check out The 5th Watches website and tell us in the comments which watch you would choose to win! Simply enter with the widget below! The all black face seems a little hard to read at first glance, but the minimalist design of all the watches is quite attractive. Gorgeous minimalist watches. Really bold design with classic leather straps. Love them! I like the contrast of the Black and Tan. It looks to be a versitle watch. The white and Tan to me looks like the most polished, and you can’t really beat that price piont. The Tribeca and the white and tan would be on my list for a minimalist watch. Though more toward the white and tan, since I already have a couple of rose gold watches. Gotta go for the black and tan! The white and tan looks great! Always nice to find products that can fulfill many different looks. Great piece. 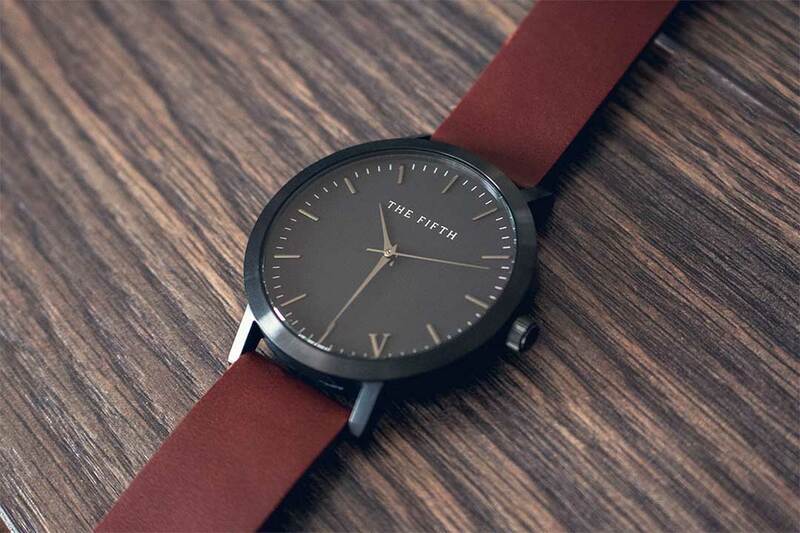 The Black and Tan one is probably the most versatile, yet minimalist watch… I like! White and Tan has a classic clean look to it. I like the white & tan – A classic & clean timepiece. Simple & elegant. Good for every occasion; best for late Sunday Brunch on a sunny morning! White and tan is stunning! The Tribeca is just stunning! I like the white and tan. Very clean and looks like would be easy to wear under a dress shirt. The Tribeca looks real nice. Versatile too since it comes with two bands. Looks like you saved the best for last! The white and tan looks great. These are all very slick watches! Tribeca is the best one for me. And second to that is Upper East. Both have a classic, timeless design that could be paired well with any outfit. White and tan is a great minimal watch! Love the simplistic design. The “Tribecca” would go well with a lot of of summer wedding outfits ! The White and Tan is just gorgeous. Love the minimalist look of these watches. That white and tan one is straight down my alley. The black and tan seems like the ideal ‘middle of the road’ watch, that you could dress up or down and still look sharp. Great post Andrew! All of them are awesome but the Black & Tan is the best. While it is hard to choose just one, I would have to go with the Black and Tan. It offers, in my opinion, the most versatility while maintaining The Fifth’s sleek and down to earth design. Very cool minimalist design. I really like that subtle use of rose gold. The Tribeca is definitely my choice. The Tibeca would be great for its versatility with the black and brown straps. They all look great, but that white & tan takes it for me. Brooklyn or Black & Tan look nice. I’m loving the look of Melbourne – named after one of my favourite cities in the world (I’m from around the corner in Sydney, Australia!). The Black & Tan Melbourne Minimal is absolutely superb. As a Gen Y, tech-obsessed man, there is something special about returning to timeless analog minimalism. I love the Brooklyn. The matte black strap looks real sharp. The Tribeca one, all my watches are silver, but my ring is gold, need that matching metal in my life! I like the fact that their slim. I’ve recently been wearing a lot of Skagen’s because of this. These are great looking watches. This brand of watch has always intrigued me and I definitely prefer the leather band and sleek styles of the Brooklyn and Tribeca. I need a rose gold watch in my collection! The Tribeca is really classy. I just got married in February and have been looking for a rose gold watch to match my ring. The Tribeca matches my wedding band. Rose gold is classy and is easier to fit multiply outfits. Really enjoy the simplicity of the style. Upper East is the one for me. Dead simple and very versatile. Perfect for business travel. Definitely would choose the Upper East. I’ve been shopping for a new, clean watch. One of these sure would be nice. Love the white and tan! The Brooklyn is the watch that stands out to me. Simplistic design as well as the simplistic color scheme just looks very tidy. The Upper East is my favorite. That Tribeca is a thing of beauty! That White & Tan would look sharp with my suit at the office! The Upper East is a classic that I would wear proudly – would love to support an Australian company as a former Australian Resident as well – Sydneysider! The Rose Gold Tribeca looks great, classic elegance with a modern design. These watches have a superbly clean and classy design. The simplicity is phenomenal! I would choose the Soho. Man I like the all black Brooklyn, but I have been looking for a watch like the more understated Tribecca for a while. It’ll be a tough call if I win! I love the simple design of them all but the White and Tan would get the most use. Using the roman numeral V is interesting. I think the Tribeca looks pretty nice. they’re all very aesthetically pleasing but I would have to favor the Tribeca! I love the Melbourne Minimal Black and Tan! I’ve got a minimal silver and tan currently, but love the look of the black instead. Cool watches! Great style at a great price. The slender hands make for a nice twist on the minimalist design. Really nice. I need that black and tan in my life! Definitely loving the Melbourne Black and Tan, but I think they’d all look great on my wrist. LOVE the Tribeca! I’m a huge fan of rose gold right now, and I think both the brown and black leather bands will look good with any outfit. I love how thin the face of the New York Classic is! Both the Black/Tan and the all Black look awesome. Love the minimaist design. I gotta say I think the Brooklyn is my favorite but the Tribeca is real nice as well. The potential to win a beautiful watch and a 10% off discount code? Can’t beat that! Those are some nice watches. Wouldn’t mind 1 or 2 or all of them. White & Tan for sure. Super classy and stays simple. Black and Tan for sure. Looks perfect. I would definetly go with either the Brooklyn, because the black on black is beautifully professional, and all around slick. Or the Broadaay because as the website says, it really is a show stopper! Or the Tribeca, because it looks very nice for a casual outfit. Never heard of the company, but these watches look right up my alley. Would love to win one! Really digging the look of the Tribeca. Rose Gold is always a win. I’m a big fan of white and tan. Nice contest, Andrew. Cheers. Love the simple clean look of the White & Tan Melbourne model. The roman numeral branding to all of the watches is a great branded touch that adds some elegance to each piece. The Tribeca is so classic! I’m loving the White and Tan model. I may just have to pick it up regardless of the contest results. I typically away from black watchfaces because they seem less dressy and thus won’t work in a wide variety of situations, but Black and Tan looks REALLY good! Classic designer watches! These remind me of old classic watches that completed the man. With the White & Tan you can dress up or down and still look like you have solid fashion taste no matter the occasion. White and Tan is my favorite! I like the White and Tan the best – it looks like you could wear it equally well with a suit as you could with a polo and shorts. Truly a classic design. The ‘Brooklyn’ watch is my favorite. I love how simple and smooth every bit of it is. A classic look that will still start a conversation. Love the black and tan! Upper East is my favorite! I would go with the Tribeca – love the versatility. Very nice designs. I like all of them. Well done. Black & Tan is on point! Love the rose gold Tribeca. Thanks for posting and helping us learn about another up and coming watch company. I love brown watch straps. I definitely would prefer the Melbourne model as well as I prefer thicker watches. Thanks Primer and 5th Watches! That Tribeca is one classy watch. These are very nice looking watches. Would be very eager to get my hands on one. Not a fan of all black watches but the lighter faces are a nice balance. Gotta love the black and tan. Looks both sleek and classy! Oh man, where have these been hiding? Brooklyn would be my choice! I have been looking for a black on black minimal watch for some time, so I definitely like the Brooklyn one! Love all the New York styles. Nice and thin face, gorgeous minimalist style, sharp bands. Minimalistic is really classy. Good collection with great design. I like the Melbourne Minimal – Black and Tan version! Sleek and nice looking! The NY range just seems too thin. Probably would have to be white & tan for me. I would do the White + Tan! Love the minimalist look of the faces. I already have the Tribeca and its great! Love swapping out the straps depending on the look. Interesting concept, only selling once a day a month. White & Tan for me. 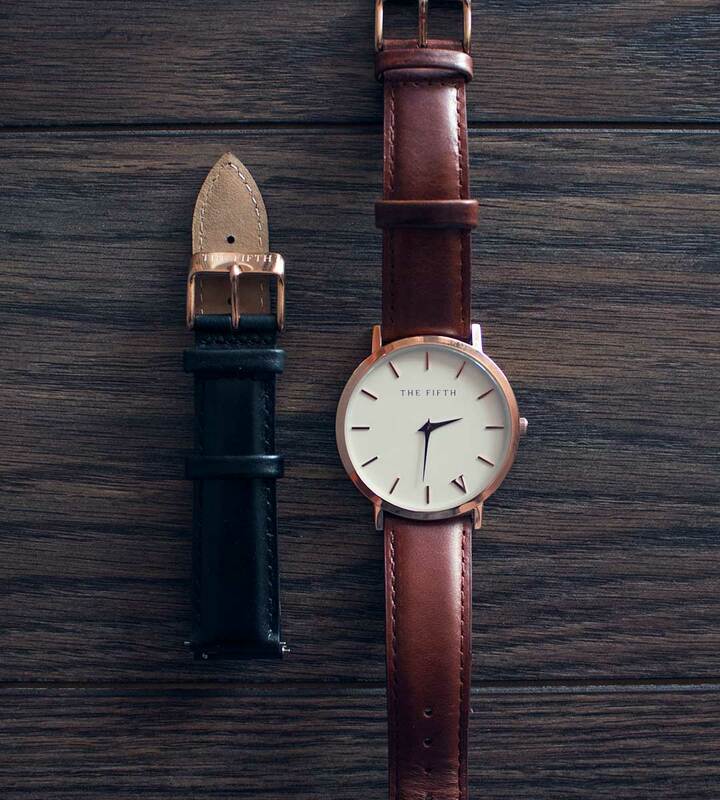 The rose gold with the brown or black strap is a perfect classic look. Love that these watches are minimal, keep it simple and back to the basics. Tribeca is my favorite. It’s simple, elegant and goes with everything. Also love the White & Tan. The White & Tan all the way! Love the look of these watches! As always, sharing great style with us. I really like the all black watch. Nice miniamlist and versatile watches. keep up the good work guys. Best of luck! The thin faces of the watches are a nice feature. I am not a fan of the thicker, large faces many watched have. These are a great find. Thanks for the opportunity to win one! Upper East for sure. Love that style. The Tribeca is my favorite! I’d say the Melbourne White and Tan — I need something that contrasts a bit with my current wristwatch. I could dig a white and tan with a black strap. Love the simplicity and elegance of the Tribeca. Really loving the MVMT watch you all recommended. I can’t wait to try one of these! The Black and Tan style looks great! Tough choice. I’ll go with Brooklyn. I like the black and tan. The minimalist design of The Fifth watches is well complimented by a non-monochromatic color scheme. Good looking watches made with quality materials in a variety of styles. Very nice. I like the watches. I think the roman numeral 5 is a nice touch. I would go with the white & tan. The Brooklyn is by far my favorite!! I’m a New Yorker ..so definitely between the Brooklyn & TriBeCa! I’m liking the Black and Tan! The White & Tan. +1 Looks terrific. Great looking watches, and shoutout to the quality of the Primer Magazine. Appreciate what you all do! I really like these 5 watches. One may end up in my wishlist. Really love the minimalist design guys! Thanks for the post! Although the name of Black and Tan evokes a certain bit of thirst, I prefer the White and Tan watch. Someday, I hope to have a watch collection. Maybe one for leather boots too, but watches definitely. The all black is such a beautiful watch! TriBeCa’s versatility is hard to top, and rose gold is completely in right now, isn’t it? Also easier to read than the Brooklyn. I love looking at the Tribeca and the White Tan. It seems easier to see and read as opposed to the Black and Tan, and the harder to glance at Brooklyn. The all black is such a beautiful design! I very much want the Tribeca. The rose gold look is a classic I would love to add to my burgeoning collection. My favorite is the black and white new york classic! I love the white & tan! White and tan looks great to me! i like all these watches especially with white dials. The all black watch looks awesome!!! Love the Tribeca–you don’t see rose gold nearly as often as you should! I love the white and tan. Wow all of the watches are amazing, hard to choose from. But if I had to make a choice I would go for the All black Brooklyn in the new york classic line. Sleek design and minimalist. Thank you for that possibility, they look so good! I love the all black Brooklyn! Black & Tan looks like a casual yet elegant watch for any type of situation. I like the last one the most, I think that White&Tan would work for both a casual and a more elegant outfit. The Brooklyn in all black would be my choice. All designs look great at that price. The Tribeca in white and tan is the go-to I would choose. I have several other with black faces, but a crisp, clean white face is what’s left on my list. I really love the subtle style and price. These watches look really great. Would love to have one. The White and Tan is awesome! Black and Tan has my eye glued to it. I’m not so much a fan of the black one, but the others look really nice. Tribeca, cause I love Tribeca irl! Melbourne Minimal Black and Tan! The black and tan could class up things up for me when going out in casual settings. I’d go for that one. Beautiful group of watches. I would love to get the Melbourne Line’s Black & Tan watch. All of these watches are excellent. My favorite is the Brooklyn though. The tribeca with the rose gold looks awesome! I’d love me a watch. I like the smaller cases, less clunky than some watches out there. Great prices too! I really like their Broadway. Very classy and very elegant. The Tribeca watch looks great! Rose gold is never the wrong choice. I would choose to win the Melbourne Minimal – White + Tan watch. White and tan looks great! For my personal style, the White & Tan would be my favorite. As the article states, it is very minimal and the strap options give it endless possibilities. If I can’t pick one up from this contest, I’ll definitely be looking into purchasing one at that price point. Brooklyn is love. Broadway is life. Yes, I love black. Wow, I love these all. Really liking the minimalist style. The Brooklyn watch looks so sharp, I need that one! Love the White & Tan. Classic look. Love the white & tan watch with the clean look and think it would be very versatile in any social setting. Huge fan of the black and tan and the tribeca, both look great! I love the simplicity of design. Such a clean look that goes with just about anything. Dress it up or dress it down. My favorite look for a watch! The Tribeca definitely gets the gold. Fantastic looking watches! Excited to start wearing one…. Those watches look so nice. I love the minimal design, but love the flashiness of the metal. I’ve been looking for a nice black watch. Fingers crossed! The Tribeca reminds me of a Daniel Wellington, I would probably choose the Brooklyn or the Black & Tan if I won just to switch it up. First time I’ve heard of The 5th Watches, but I really like them! Already signed up for their monthly release. White and tan is my favorite but they are all sharp! Tribca – the way to go! The White & Tan is gorgeous. Those look nice-Tribeca for the win! Would enjoy the Black & Tan one! The white and tan is so classy and clean. Love the minimalist approach on all of them, though! I like the Brooklyn all-black look. The black on black Brooklyn Classic is the watch I would love. It is absolutely AWESOME. So classy. Black & Tan is awesome! These watches look great! The Black & Tan is my favorite right now. The roman numeral at the 5 o’clock position is an interesting choice. I love minimalist watches, and the packaging looks amazing. I love the Brooklyn look and the White and Tan. I love their designs. I’ve been waiting for the fifth to come to see their offerings and pick up a watch or two. Tribeca is what I’m hoping to get. Brooklyn for a stealthy look. 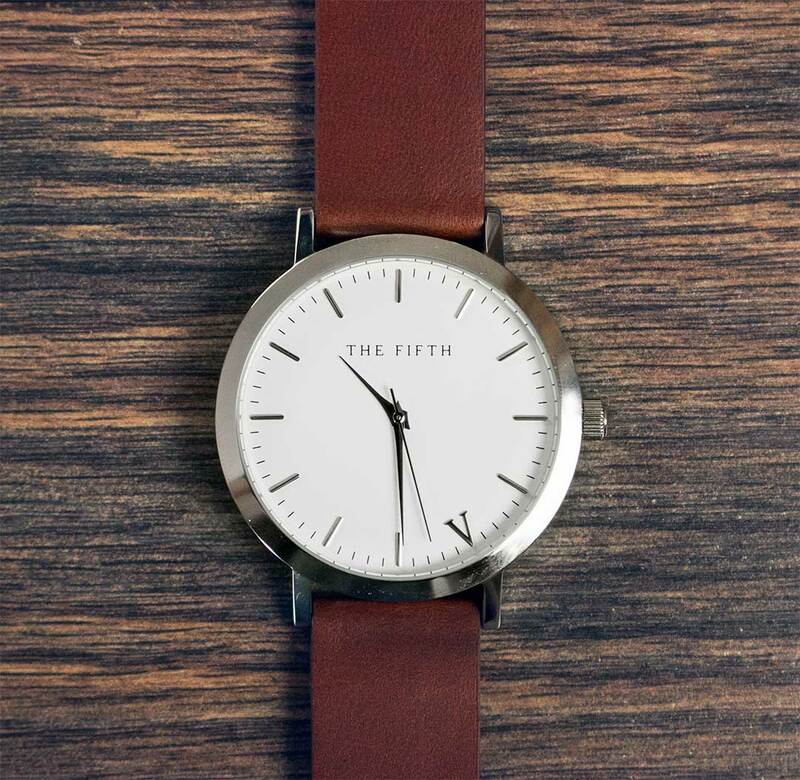 The fifth or mvmt? That’s the real question. Digging the black on black. I definitely think the black on black is the way to go – the large face looks like it’s easy to read and black watches work with so many suits it’s excellent. I’m a fan of the Black and Tan! I would be very happy to strap one of these beauties onto my wrist! The White and Tan watch is beautiful! Definitely my favorite. White and Tan looks clean. New York Classic Tribeca ! Love the black one, if I don’t win I’ll probably get one! They are all so great it’s hard to pick just one! White and Tan looks suh-weeeet! I’m not hating on Brooklyn either. Those look top-drawer watches. The Melbourne Black and Tan is just beautiful! I love minimalistic watches. It truly defines you as a gentleman. I vote for the Brooklyn. Black on Black with the slim line case – looks perfect! Leather Strap FTW. Design quite elegant. Interesting unique design with the 5 on the face. The classic design will be a conversation starter. Whoa! Love the minimalism on the Brooklyn watch. The Tribeca watch looks the most polished to my taste. I would definitely were it day in and day out. Melbourne Minimal – Black and Tan. I really like the Brooklyn design! I would love the Brooklyn! 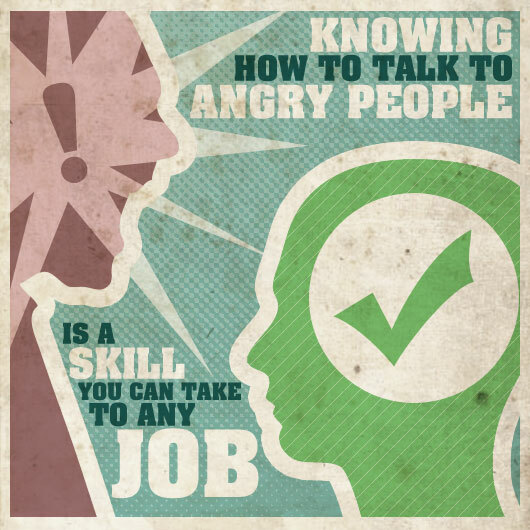 Dont float the main stream. Brooklyn or Tribeca for sure. I like the clean style. I need something to break up my dive watch obsession. Very sleek and thin. Love it. Honestly, I have been looking for a minilamist watch for quite some time. These have the exact look I want. Can’t go wrong with the New York Classic line. Great value! I’m loving the Black and Tan the most especially at that price point. The Tribeca looks awesome. Love a good rose gold watch! I’d definitely go with the black and tan! Loving everything about the White and Tan, hopefully they’re big enough for my wrist. Love the brown leather with the white face for my hubs! The Brooklyn is very sleek. Tribeca will look mighty fine on my wrist. The minimalist design of the Brooklyn is perfect for dressing it up or down. It looks like an awesome watch! First time commenter, long time hesitat-er. The watches look great, thanks Mr. Snavely. I really like the black faces! Anything minimalist i really like! The Brooklyn looks quite sharp! I like the black on black. I would like to win the Brooklyn so as to upgrade my friend’s fake timepiece as a birthday gift. Awww man!!! These watches are slick. I would be honored to be considered for this give away. It would be a real gift. I work full time and have two young girls. This week I will completing a 4 year program and receiving a Bachelor degree that I have been working on as a full time student, in addition to everything else and all that I have going on (including just getting out of school) times are a little tough to be able to really celebrate my graduation. To be able to wear one of these to the graduation ceremony would really make it special for me. Thank you for your consideration. – Long time follower and representative of Primer Magazines’ styles. okay so i don’t know if my comment was posted BUT hey just thought that these watches are gorgeous!! I need the white and tan in my life. I like the Tribeca, as it is in a thin NY classic profile and a very classic rose gold colour. It also comes with brown and black straps. Wow, all the watches look amazing. The Upper East is classic, minimal, and looks really smooth. Wow, the Black and Tan just oozes class. #Impressed. Tribeca looks great! The rose gold has just enough color to make it pop. The Brooklyn is pretty sleek! Such cool watches. I have been looking for a great minimalist watch like this. Love how thin the New York Classic is. These are a different sort of “thing” than the electronic smartwatch that a lot of people are praising. And yet, I think the Tribeca in particular looks pretty cool. I love the all black model. So sleek and minimalistic. In my daily life, I think i’ve perfected my look. I’ve got a pair of rugged boots and my everyday casual business work attire, but I’ve always gone with a cheap watch that either I get sick of, or breaks before I get much use out of it. The Black and Tan fits my style perfectly, and I’d bet I’d get a lot of use out of her. Melbourne. There is something about that All Black version… I don’t know, but I keep on going back to it. I like the exclusivity of the 5th watches and the fact that not many people have them. I love the simplistic and minimalist design to them as well. It really fits my style. I like the Black & Tan, black, yet not as harsh as the Brooklyn. The White and Tan is a fantastic design. Awesome watches. Really like how thin the New York Classic is, and the look of the White & Tan. White & Tan is gorgeous! Normally not a fan of the rose gold, but that watch really looks sharp. I haven’t seen many rose gold watches that I like, but this one is pretty clean. All black with the option of a matte strap?? Brooklyn. 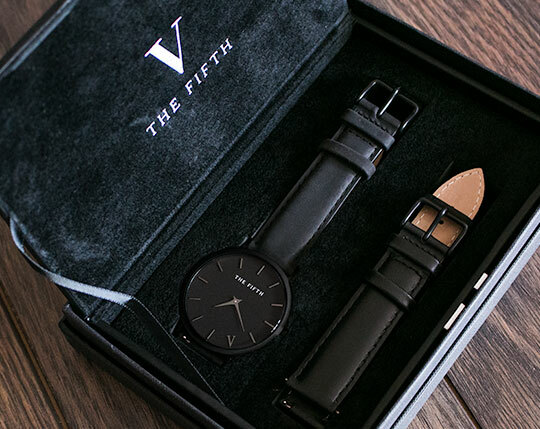 I love the All-Black watch by The Fifth Watches! The Brooklyn or The Tribeca! The White and Tan is gorgeous, I’m all about it. Dang. In would opt for the Melbourne Black and Tan. I appreciate the contrast and styling. All the watches look great. I would like the Black & Tan! The Brooklyn looks nice and minimal. All black. I like the idea of selling the watch with two leather straps. Most folks don’t realize how easy it is to swap them out. As with my shoes and belts, I usually wear brown leather…but it’s nice to have the option of having it in black as well. Brooklyn would be my choice. I love the look of the Tribecca. I’ve never owned a rose gold watch before, but that model is making me seriously consider a purchase. That Black & Tan though……. TriBeCa looks good. It would be great to have a rose gold watch. Black on black is my favorite. Black & Tan is the one. Love the black and tan, but think I’d have to go Upper East to round out the wardrobe. I would love to win The Brooklyn watch or any other one of the elegant pieces by The Fifth! I would choose the New York Classic Upper East watch! I’ll have the Brooklyn, please and thank you, sir. I like the Tribecca. Very classy look. I would choose the Melbourne Minimal Rose Gold + Peach. These are beautiful watches. I really love how simple these watches are and my dad would love one! Thank you! Makes me want to start wearing a watch again! I like the white and tan the best. That white and tan looks awesome! I like the New York Classic SoHo. I like the Tribeca. I like the gold around the face. If i would win i would definitely pick the Upper East one! Black strap gives off a mysterious feeling that can match with almost any outfit and, the silver dial makes a statement of power and authority without the flashiness of the gold, a humble yet authoritative feeling. I love the Tribeca . I really like the look of the Tribeca watch. I would choose the Broadway (Black & gold). Very pretty! I would choose the Rose Gold + Peach watch. Thanks,this would be awesome!!! wooohooo!! Bought the Tribeca a few weeks ago – maybe the most versatile watch I own. I really, really like the Melbourn Minimal watch. Classy, cute, elegant and made for my life style. I want to win! too bad you don’t have a watch with a rotating countdown bezel. Those are hard to find. I really like the rose gold and peach or the white and tan watch. Would love to win! Great gift for my son! My top picks are the Brooklyn and Tribeca. the all black design is my favorite, but I would be happy to have any of them! I really like the black and tan. I would choose the Tribeca for sure! All sharp looking watches! I really like the Brooklyn because of the sleek look of it, but the Tribeca also catches my eye because of the classic style. I’d definitely go for the Black + Tan. Nice and simple. Love it! Hard to choose but the Black & Tan is my favorite! The Tribeca one is classy and versatile, I will definitely give it a good use. I LOVE THE DESIGN. its so minimal I feel like there is always too much going on in many other watches. These are simply fantastic. toss up between the White and tan and the tribeca. Both look great! I want the White & Tan and the Brooklyn!!! I want them all!!!!!!!!!!!! Tribeca model has a great simplicity and clean design. the black one would be great. White and Tan looks great! Tribeca would be my second favorite though. Both great looking watches! The Black and Tan. Whew. The white and tan is amazing. The Brooklyn is pretty neat! I love the White & Tan watch. I like the White & Tan. Black & Tan is perfect! Wow I love the plain face with just the V and the redish band is the nicest color I have seen on any watch so far. I hope to win. These are all super appealing. Ooh the rose gold sure would be nice! The white and tan is very simple, and sleek. That’s my choice. I really like the black and tan. I have a watch similar to the white and tan, but the case is so big. I like how the 5th’s watches aren’t huge. The Black and Tan looks sharp. The Brooklyn is so gorgeous! Melbourne Minimal with a pink strap. Love it.